Copy Pasting is the new trend in Bollywood! Nowadays most of the filmmakers are just adapting or remaking the films. Now we hear that Kapil Sharma's Kis Kisko Pyaar Karoon is also a copied film! The film is copied from a Kannada film Nimbe Huli which was released in 2014. So, the makers of the Kannada film have filed a copyright case against director Abbas Mustan and the makers of the film at Madras High Court. Hemanth Hegde (director of Nimbe Huli) stated that, "I had sold the rights of the film to a Tamil director K Madesh to be remade, however the makers of KKKPK have not acquired the rights to remake the film from either Madesh or myself." Also, now Hegde is ready to take legal action against makers of this film. 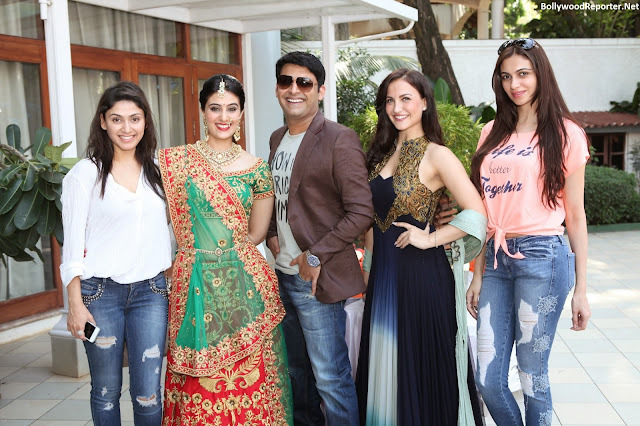 Meanwhile, Ratan Jain producer of KKPK of Venus rubbished this all & said, "We had registered the script for KKPK with the screenwriters association back in 2008 along with the dialogues of the film as well, while Nimbe Huli released in 2014. So effectively proving that my film was ready much before Nimbe Huli, so how can KKPK be a copy?" After this when Jain asked about his next step about this issue he told, "As of now I have not received any formal proceedings of a case being filed, nor have I watched the Kannada film. In fact I am trying to get my hands on a copy of the film to gain a better picture of this." This film is Bollywood debut of Kapil Sharma, who is host of the famous TV show Comedy Nights With Kapil with Arbaaz Khan, Manjari Phadnis, Elli Avram, Simran Kaur Mundi, Supriya Pathak and Varun Sharma. Film is scheduled to be released on 25th September.